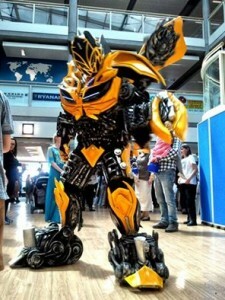 Bumblebee, from the Transformers, will ensure to liven up your Corporate Event or Private Party throughout Ireland. 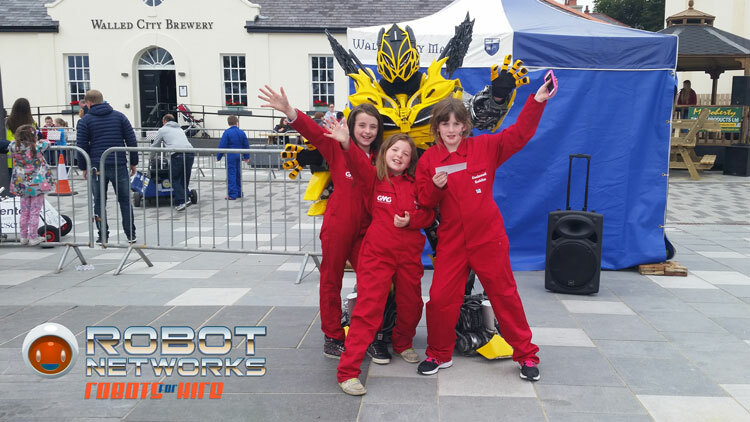 Watch your guests gasp in awe with our spectacular Robot for Hire and mesmerise the crowd with his eye-catching presence. Undoubtedly a One-Of-A-Kind Entertainment Option, Transformer – Bumblebee will not only get kids smiling, but will also impress any adult with his lifelike movements and all interactive features. As well as that he will of course add the WOW Factor to your function. Make yourself and your event a talking topic for weeks to come and stand out by hiring a truly stand out Entertainment Act, which transforms any occasion into something very original. Stop traffic at your next Staff Party, have your guests anticipate the impending event instead of trying to get out of it – hire our wonderful movie star, Bumblebee! Book Bumblebee today on +353-1-86-250-4795 or simply fill in your details via our Contact Form. Please watch the videos of our Unique Robot for hire in Ireland with Audio Networks. Bumblebee has taken the world by storm due to famous Transformer movie franchise which he features in and remains one of the favourite characters. 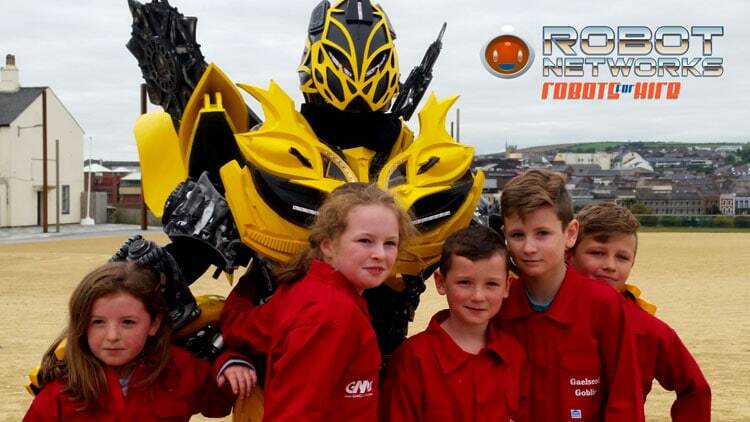 Now the majestic robot can be enjoyed in Ireland also with thanks to Robot Networks in affiliation with Audio Networks, proudly celebrating over 25 years in the entertainment industry, with a vast and satisfied clientele all over the country as well as abroad. 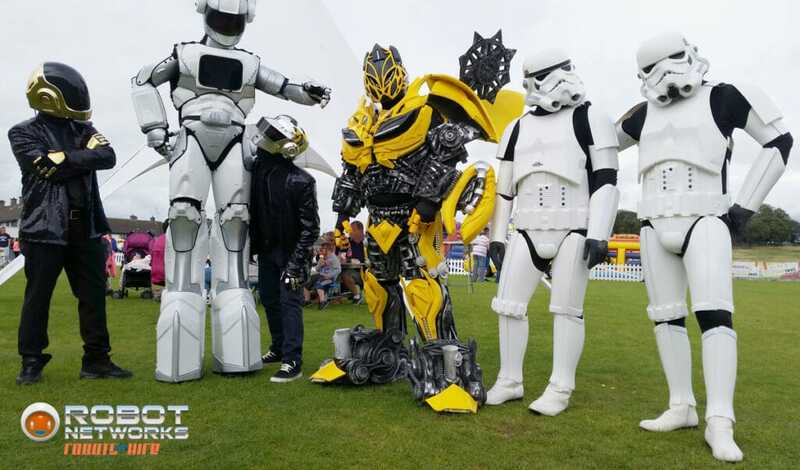 Transformer – Bumblebee has appeared at a wide range of events and his amazing performance has been captivating audiences of any age group, at very different kind of parties – now you can enjoy him also and entertain your guests with a spectacular, unexpected act.